Hillary is more than a 3:1 favorite for the Democratic nomination. There is close to a 3-way tie for the Republican nomination among Giuliani (27%), Romney (26%) and McCain (23%). NEW DELHI: American cult bike brand Harley-Davidson may finally hit the Indian roads. Bottom Line: Globalization works both ways. 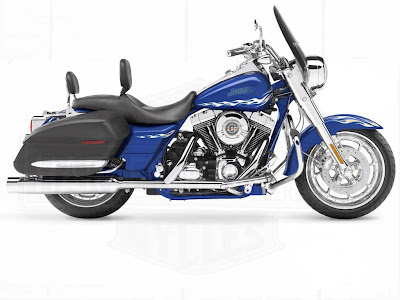 As U.S. companies outsource business processing, research, software development and call centers to India, wealth and prosperity are created there that creates a demand for U.S. products like Harley-Davidsons. The Coming Oil Glut and $30 Oil, $1.50 Gas? The tripling of oil prices since the summer of 2003 has unleashed forces that within the next two or three years will bring oil prices tumbling back down to below $50 a barrel. Looking even further ahead, prices could easily fall to $30 a barrel or even lower. 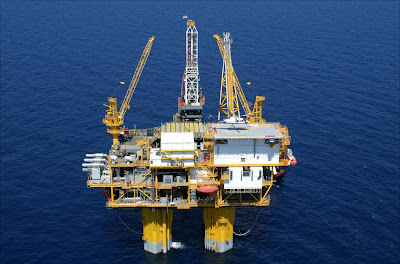 With prices close to the inflation-adjusted record, energy companies and governments are investing heavily in facilities that generate crude and crude substitutes. Consumers of fuel oil and gasoline are starting to economize, and over time, these changes in behavior will shift the balance of power in their favor. When that happens, an oil glut will emerge, and the price will plummet. So before you trade in your Cadillac Escalade for a Toyota Prius, think twice: $1.50-a-gallon gas might not be gone forever. The small clinic at Kaival Hospital in Anand, India matches infertile couples with local women, cares for the women during pregnancy and delivery, and counsels them afterward. Anand's surrogate mothers (pictured above), pioneers in the growing field of outsourced pregnancies, have given birth to roughly 40 babies. More than 50 women in this city are now pregnant with the children of couples from the United States, Taiwan, and Britain. Suman Dodia, a pregnant, 26-year-old, said she will buy a house with the $4,500 she receives from the British couple whose child she's carrying. It would have taken her 15 years to earn that on her maid's monthly salary of $25. Experts say commercial surrogacy could take off in India for the same reasons outsourcing in other industries has been successful: a wide labor pool working for relatively low rates. "Easy credit made bad homeowners out of good renters." Fortunately maybe, the homeownership rate in the U.S., after rising by 5 percentage points (from 64% to 69%) between 1994 and 2004, has fallen over the last four years by the biggest amount (.80%) since the mid-1980s (see chart above). Hopefully, many of the bad homeowners of the last few years of easy credit and now rising foreclosures are becoming good renters again. Cheap Chinese products, like motorcycles that sell for only $440, are flooding China's southern neighbors and consumers in Myanmar, Laos, Vietnam and Cambodia are laying out the welcome mat. The products are transforming the lives of some of the poorest people in Asia, whose worldly possessions only a few years ago typically consisted of not much more than a set or two of clothes, cooking utensils and a thatch-roofed house built by hand. As the first introduction to global capitalism, Chinese products are met with deep appreciation. Read more of the IHT article "Chinese Goods Transform Life in Southeast Asia" here. Watch a video "Change Arrives on a Scooter" here. Note that globalization and trade are disproportionately benefiting the poor people of SE Asia, since the rich politicians and politically-connected elite already had their BMWs. Also, this story counteracts the myth that "globalization exploits the developing nations and their poor." I don't think the mountain villagers of Laos, who can now reach the nearest city in 2 hours on a scooter instead of walking all day, feel too "exploited." The economic repercussions of the housing bust and mortgage woes are limited to a great extent because fewer than half of American families own a home with a mortgage. Almost a third of all families rent their house or apartment, almost a fourth own and have no mortgage and the vast majority with a mortgage are current in their payments. Even with about a tenth of all subprime mortgages now in foreclosure, only a small share of all American families -- about 0.3% -- own a home in foreclosure, he said. It's true: 55.5% of American households either rent their home or apartment (32%), or own a home with no mortgage (23.5%), see chart above. Then add in the 34.5% of homeowners with a prime mortgage, and the 4.2% of homeowners with a FHA or VA mortgage, and you've got more than 94% of American households who are NOT subprime borrowers, and fewer than 6% who are subprime borrowers. And the subprime fixed-rate mortgages are not really a problem, it's only the subprime adjustable mortgages that are having problems with delinquencies and foreclosures. Then consider that according to the Mortgage Bankers Association, the percentage of loans in the foreclosure process was 1.69% of all loans outstanding at the end of the third quarter 2007 (both subprime and prime). But because only 44.4% of all homes have a mortgages, that means that only about .75% of all American household own a home in foreclosure. Note: I think that Glenn Maguire gets a figure of only .30% of homes in foreclosure by looking at the rate of loans entering the foreclosure process (.78%), and not the percentage of all loans in the foreclosure process (1.69%). I have posted previously on low-cost, consumer-friendly, market-driven, walk-in retail health care clinics in retail stores like Walgreens, CVS and Wal-Mart, see here, here, here and here. Now Target has joined the market for retail clinics by opening Target Clinics in Minnesota (18 locations) and Maryland (5 locations). Target Clinic's medical professionals can help test and treat guests 18 months and older for many common illnesses and injuries. Cash fees for most services listed below range from $49-$69. Bottom Line: Perhaps high-cost, bureaucratic, inefficient, socialized medicine isn't the answer to reforming our health care system. Instead, perhaps we need more efficient, low-cost, market-driven, and consumer-friendly healthcare like Target Clinics to reform our health care system. Milton Friedman once said something to the effect that forcing everybody to see a physician as the medical gatekeeper for even minor, routine health concerns was like forcing everybody to drive a Cadillac. The use of nurse practitioners and physician assistants at Target Clinics is a welcome change, and allows us to get health care at a Chevy standard when we don't want, or can't afford, the Cadillac standard. Peggy Noonan writing in yesterday's WSJ: We can't have a president who spent two minutes on YouTube staring in a mirror and poofing his hair. Really, we just can't. Bottom Line: The economists project, on average, that the economy will grow 2.1% from the fourth quarter of 2007 to the end of 2008, vs. 2.6% in 2007. Only two of the forecasters expect a recession, although it might feel like one if there's sluggish growth over the next couple of quarters, as many predict. The chart above shows graphically the negative relationship between state population growth using Census data available from the WSJ here, and state tax burden data available from The Tax Foundation here, both for 2007. The OLS regression results above further verify that the negative relationship between state population growth and state tax burden is statistically significant at the 1% level (highest level generally reported). Bottom Line: States with lower tax burdens attract more businesses, workers and people, and states with higher tax burdens lose businesses, workers and people. In other words, these results confirm the theory that if you tax something, you'll get less of it. Thanks to Ben Cunningham for supplying the data. See First Trust Portfolio's similar analysis "Voting With Our Feet" here using the same data. Q: Who Creates More Minority Wealth Than US? McDonald's exemplifies the role of small businesses in Americans' upward mobility. The company is largely a confederation of small businesses: 85% of its U.S. restaurants -- average annual sales, $2.2 million -- are owned by franchisees. McDonald's has made more millionaires, and especially black and Hispanic millionaires, than any other economic entity ever, anywhere. 1. McDonald's Hispanic-owned restaurants generate estimated annual revenues in excess of $1.5 billion. Note: That is more than the annual GDP of the Central American country of Belize. 2. McDonald's African-American-owned restaurants generate estimated annual revenues in excess of $2.4 billion. Note: That is about the same as the annual GDP of the African country of Rwanda. The good news: recruiters should see an increase in applicants with college degrees and high school diplomas; the bad news is that those applicants might not succeed on the job. A study conducted by Wonderlic, Inc. reveals a steady decline in the cognitive ability scores associated with specific education levels. The study suggests that because the ability level of the average high school graduate has changed over time, finding job candidates with the same level of ability as 1970 high school graduates requires employers seek out applicants with two or more years of college training. MP: Hey, but aren't grades (and self-esteem) at an all-time high in both high school and college? 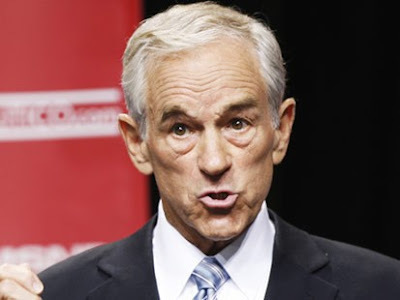 U.S. Congressional representative and Republican presidential contender Ron Paul has been called "Dr. No" because he repeatedly votes against legislation he believes gives government too much power. If it's not in the Constitution, he says, the federal government has no business doing it. He even votes against appropriations to his constituents. For example, his Texas district is subject to floods, but he voted against FEMA. He represents a farm district, but has voted against farm subsidies because they are not authorized by the U.S. Constitution. In other words, Ron Paul, aka Dr. No, is a real rarity, a politician with integrity. He's my kind of politician, and I've joined the list of academics for Ron Paul. NPR Morning Edition--In 2007, foreign investors acquired more than $43 billion worth of U.S. properties — almost double the amount foreigners spent a year earlier. 1. Weak dollar makes U.S. real estate more affordable. 2. Increased global wealth means international investors have more investment capital. 3. Falling U.S. real estate prices offer bargains for foreigners. Bottom Line: A market correction is taking place in the U.S. real estate market thanks to foreign investors, another benefit of globalization. Lou Dobbs, listen up. Home prices have been falling (see WSJ article), but still dominate stocks over the last 10 years. Compared to ten years ago, the S&P500 Index today is 2X higher, but home prices are 2.68X higher. From CNBC's RealtyCheck: "Prices may be down, down even farther than the nasty recession-related bust of the early 1990s, but let’s remember whence we came. During the recent housing boom, prices were up in far greater percentages than they’re down today, so if you bought your home more than three or four years ago, you likely have plenty of gains left." The chart above uses international macroeconomic data on real GDP growth from the USDA's Economic Research Service. Over the last four years, the world economy has grown at an annual average rate of 3.6%, the fastest growth in real world output over a four-year period in almost twenty years (see shaded areas above). If there is any kind of slowdown in global economic growth, it sure hasn't shown up yet in real GDP data. The American middle class is fighting for its life -- or at least that's what Lou Dobbs would have you believe. The CNN anchor's rants about "the war on the middle class" are probably the most prominent examples of such economic doom-saying, but he isn't alone. Democratic presidential candidates pepper their debates with references to the assault; leading liberal thinkers argue that supply-side conservatives captured the Republican Party during the Reagan administration and implemented policies that continue to privilege the super rich today. They tell a compelling tale of middle-class decline. Pity it isn't true. This is the season of frenetic shopping, but for a devious few people it’s also the season of spirited shopdropping. Find out here in the NY Times. Foreign Buyers Snap Up 2nd Homes in the U.S. The events of 2007 have made the U.S. much more affordable for international home buyers. Severe dollar declines against the euro and pound have made U.S. homes much cheaper for Europeans. But even foreign buyers without that sort of currency advantage are benefiting from sharp drops in housing prices at a time when problems in mortgage lending are keeping many Americans out of the market. At the same time, many foreign real estate markets, especially in Europe, have experienced sharp increases in home prices. TORONTO (AP) — Oscar Peterson, whose early talent and speedy fingers made him one of the world's best known jazz pianists, died at age 82. AllMusic entry on Oscar Peterson. YouTube video of Oscar Peterson Trio in Italy in 1961. Wikipedia entry on Oscar Peterson, already updated. Ethanol's Role in The Growing "Dead Zone"
JEFFERSON, Iowa - Because of rising demand for ethanol, American farmers are growing more corn than at any time since World War II. And sea life in the Gulf of Mexico is paying the price. The nation's corn crop is fertilized with millions of pounds of nitrogen-based fertilizer. And when that nitrogen runs off fields in Corn Belt states, it makes its way to the Mississippi River and eventually pours into the Gulf, where it contributes to a growing "dead zone" — a 7,900-square-mile patch so depleted of oxygen that fish, crabs and shrimp suffocate. Note: 7,900 square miles is larger than the states of Rhode Island, Delaware and Connecticut combined! The U.S. Economy Could Handle $15 Gas? With energy five times as expensive as at present we would take a substantial hit to incomes. Our living standard would decline by about 11%. But we would still be fantastically rich compared to the pre-industrial world. That may seem like a lot of economic hurt, but put it in context. Our income would still be above the current living standards in Canada, Sweden or England. My "back of the envelope" analysis shows that per-capita U.S. GDP would drop by about 13% if gas was selling for $15 per gallon, assuming that annual per-capita consumption remains at the current level of about 464 gallons. At $3 per gallon, per capita spending on gasoline is about $1400, and annual spending would rise to almost $7,000 at $15 per gallon. If we assume that the increased per-capita spending on gasoline of $5,560 annually would reduce our living standard by that amount, we can estimate that per capita-GDP would fall from from $43,223 to $37,655, and we would still be above U.K., Sweden and Canada (see chart above). If you speak English, you know words from at least a hundred different languages. That's because English has borrowed words from languages everywhere, and continues to do so. All living languages borrow, though not to the same degree. Each new word brings its own color to the mosaic of the language, just as each new person does to a population, making it richer and vibrant. We see words derived from Greek, Latin, Spanish, French, etc. every day, but this week we'll look at a few words from languages that are not so well known -- Javanese, Coptic, Tamil, Shelta, and Hawaiian -- and also learn a little about those languages. Number of words in the English language: 500,000 according to the number of words in the Oxford English Dictionary. There are supposedly another 500,000 uncataloged technical and scientific terms. By comparison, most estimates indicate that German has a vocabulary of about 185,000 words and French and Spanish have fewer than 100,000 words. Best thing about the English language, and the main reason for its rich vocabulary? Nobody is in charge! Human languages in general, and English in particular, are perfect examples of "spontaneous order," the spontaneous emergence of self-organization and order out of seeming chaos. And perhaps it's because English has been the language most open to borrowing words from other languages that is has developed the most extensive and richest vocabulary. The opposite approach to allowing a language to develop according to spontaneous order, is that of the French Academy, which actively tries to limit the French vocabulary and prevent the "anglicisation" of the French language. Study of the long economic history of the world suggests two things. Cheap fossil fuels actually explain little of how we got rich since the Industrial Revolution. And after an initial period of painful adaptation, we can live happily, opulently and indeed more healthily, in a world of permanent $100-a-barrel oil or even $500-a-barrel oil. UC-Davis economist Gregory Clark explains in today's Sacramento Bee. Economists generally oppose price controls because they distort markets, and cause either shortages (e.g. rent control) when there is a price ceiling, or surpluses (e.g. minimum wage) when there is a price floor. Shortages (excess demand) and surpluses (excess supply) represent an inefficient use of scarce resources, and economists support market prices because they eliminate shortages and surpluses, and therefore lead to efficiency. From the Soviet Union, there are many examples of distortions and inefficiencies from its long history of price controls, but here is a real classic. Light bulbs, like most other basic goods and staples in the Soviet Union, were often in short supply because the official price was below the market price, resulting in excess demand and prolonged shortages. As a result of the chronic light bulb shortage, an informal, black market developed in the USSR for used, burned-out light bulbs. That is, Soviet citizens would actually pay a positive price for a light bulb that didn’t work. How would it be possible for a burned-out light bulb to have a positive price, when it would normally just be thrown out? Of what use could anybody have for a used light bulb? Think about it first, and read the answer here. While there are plenty of bloggers who dish out harsh opinions on Cuba and Castro, most do so from the cozy confines of Miami. 32-year old Yoani Sánchez (pictured above) is one of the few who do so from Havana. Read about her here in today's WSJ front page article. Read her blog Generación Y (in Spanish). WASHINGTON (AP) -- Consumers put aside worries about slumping home sales and soaring gasoline prices and headed to the malls in November, pushing spending up by the largest amount in 3 1/2 years. The Commerce Department reported Friday that consumer spending shot up 1.1% last month, nearly triple the October gain. It was the biggest one-month jump since a 1.2% rise in May 2004 and was significantly higher than the 0.7% gain analysts had expected. Bottom Line: Consumer spending increased for the 14th consecutive month (see chart above, shaded area on right), for the first time since 1999 (shaded area on left), providing further evidence that the economy is strong and stable, and not in any imminent danger of falling into a recession. The BEA reported today that Real Disposable Income grew by 2.1% in November from a year ago, the 23rd consecutive month of positive growth (see chart above). Bottom Line: This is one of the 5 economic recession-indicating variables watched by the NBER (the others are real GDP, industrial production, trade sales and employment), and suggests that there is still no evidence yet that recessionary conditions are affecting the U.S. economy. 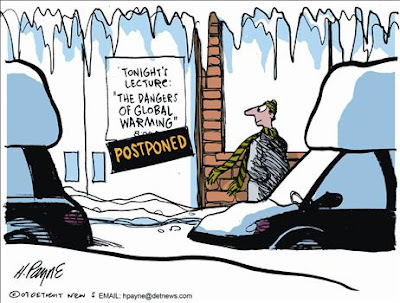 Follow up on yesterday's post on 2007: a year of global cooling. The BEA released it final estimate of third quarter (July-September) real GDP growth today, and it remained unchanged from its previous estimate of 4.9%. Third quarter growth in real GDP was more than twice the average growth this decade of 2.2%, and followed second quarter growth of 3.8% (see chart above). Notice also that the strong back-to-back growth in real output during the last two quarters looks nothing like the recessionary period of 2001, or even the pre-recession period of 2000. The top chart above is from a previous CD post, and the bottom chart above is from Larry Kudlow's blog, and he featured it last night on Kudlow and Company. I used a three year lag in my chart, and Larry is using a two-year lag in his graph, which might be a slightly better fit. But the main point is that money supply growth takes between 2-3 years to have its full impact on the price level and inflation. 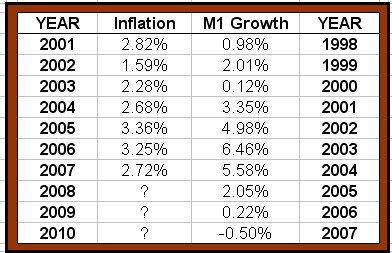 The significant decline in the growth rate of M1 over the last few years (and the monetary base as well), suggests that inflation could likely decrease in 2008 and 2009 from its current year-end level. M1 growth has actually been negative for the last year, and the M1 money supply today is below its level a year ago, suggesting that inflation won't continue to be a problem much longer. See chart above (click to enlarge) for evidence of Walter Williams' claims that Education majors perform poorly on standarized tests like the LSAT, GMAT and GRE. "The world produces about 85 million barrels of oil a day. Global energy demand is expected to rise 55% from 2005-2030. Peak oil theories abound that new discoveries are not keeping up with oil usage. But it's significant that the new demand also is fostering big new discoveries, largely from the very countries where demand is growing most." The IBD editorial documents recent discoveries of new oil in Brazil, China, Mexico, India and Russia, and discusses how new oil technologies have also significantly increased the supply of oil. "The world is not running out of oil," said Daniel Yergin, head of Cambridge Energy Research Associates and one of the world's leading oil experts, in a recent interview with Les Echos in Paris. Go ahead and fill up your SUV, and engage in some guilt-free driving. Johannesburg, South Africa, had the first significant snowfall in 26 years. Australia experienced the coldest June ever; in northeastern Australia, the city of Townsville underwent the longest period of continuously cold weather since 1941. In New Zealand, the weather turned so cold that vineyards were endangered. In April, a killing freeze destroyed 95% of South Carolina's peach crop, and 90% of North Carolina's apple harvest. At Charlotte, N.C., a record low temperature of 21 degrees Fahrenheit on April 8 was the coldest ever recorded for April, breaking a record set in 1923. On June 8, Denver recorded a new low of 31 degrees Fahrenheit; Denver's temperature records extend back to 1872. On Dec. 7, St. Cloud, Minn., set a new record low of minus 15 degrees Fahrenheit. On Dec. 4, in Seoul, Korea, the temperature was a record minus 5 degrees Celsius. The Canadian government warns that this winter is likely to be the coldest in 15 years. Academic Slums: Schools of Education? 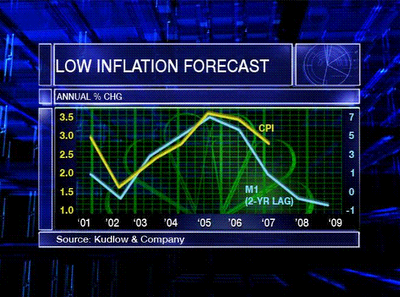 Subject to any last minute changes, I'll be a guest on CNBC's "Kudlow and Company" tonight at 7 p.m. EST to discuss some of my recent blog postings on inflation. Here's the link to my segment, it should be good for at least a few days. Real direct tourism spending increased at an annual rate of 1.6% in the third quarter of 2007, according to data released today by the U.S. Bureau of Economic Analysis. Another post on the theme "The good old days are now." The standard of living for the average American just keeps getting better and better over time. One reason we don't appreciate it, is that the improvements, though persistent and relentless, happen gradually year after year, so we end up taking it for granted. 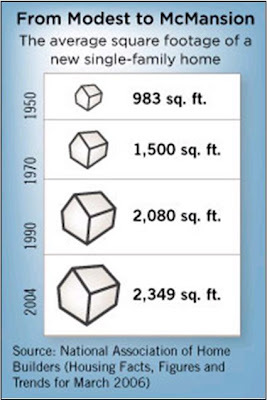 If the average home size increased from 983 sq. ft. to 2,349 sq. ft. overnight, we would treat it as a modern miracle. When it happens 25 sq. ft. per year for a half century, we don't even notice it. There's Hope For the US Dollar: Comeback Ahead? Using mid-December exchange-rate data from FT.com, the chart above shows the one-year forward discount or premium for the US dollar vs. the Euro and British Pound in 2005, 2006, and 2007. Note that two years ago, the USD was trading at a one-year forward discount vs. both the Euro (-2.0%) and the BP (-0.20%). In recent trading, the USD is now trading at a one-year forward premium vs. both the Euro (+0.20%) and the BP (+1.20%). Bottom Line: There's hope for the USD! Its value has stabilized, and it has actually appreciated by more than 2% vs. the Euro in the last week, and by 1.5% vs. the British Pound. And since late November, the USD has been trading at a one-year forward premium vs. the Euro for the first time in at least three years, and I don't think that has received any media attention. Dr. Steve Cole, staff physician at Baylor University Medical Center, writing in today's Dallas News. Tata: Maker of World's Most, Least Expensive Cars? 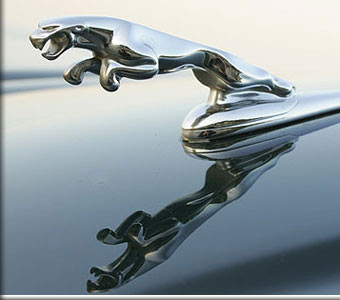 NY TIMES--The luxury brand Jaguar is poised to join Tata Motors, a widely diverse Indian auto company that makes tractor-trailers, full-size SUVs and the world’s cheapest car. A final signed deal, which is expected to be worth about $2 billion, will not be announced until early next year. When Tata is done buying a company, it should look the same as before, “except now it’s owned by someone in India,” said Ratan Tata, chairman of the Tata Group. Even more predictable than the post-Thanksgiving appearance of shopping-mall Santas is the inability of pundits at this time of year to say or to write "commercialism" without prefixing to it the word "crass." I challenge this notion. Commerce is peaceful. It involves sellers working hard and taking risks to bring to market goods and services that consumers want to buy. No one forces anyone to do anything; all is voluntary. What truly is crass is politics. Far more enlightened and ethical behavior is on display during any one day in a shopping mall than the most intrepid observer will find in a century on Pennsylvania Avenue. Exhibit A: See graph below (click to enlarge) of the Adjusted Monetary Base, from the St. Louis Federal Reserve, from 2002-2007. Notice the decline in growth from 10% to 2%, suggesting a deflationary trend in high-powered money. Exhibit B: See graph below of the Adjusted Monetary Base vs. M1 Money Supply, from 2002-2007. Notice that as the growth in high-powered money growth, controlled by the Fed, has come down from 10% in 2002 to 2% in 2007, the M1 Money Supply has stablized at about $1.36 trillion. SAN FRANCISCO--Buffett indirectly blamed the Bush administration for a tax code he said is out of whack. "In the last seven-eight years what has happened is that the super-rich have gotten a huge break," said Buffett, one of the world's richest people with a net worth of $52 billion, according to Forbes magazine. In a previous post, I challenged proponents of tax increases to raise taxes on themselves immediately by making a voluntary gift to to the U.S. Treasury, and not waiting for the Bush tax cuts to expire. After all, if forced increases in taxes are desirable by future changes in the tax code, then voluntary tax increases by rich taxpayers like Buffet and the Clintons right now should be desirable. Here's another idea for Buffet and the Clintons. If they think that the tax codes in previous years were more equitable, fair and desirable then they can pay under the old rates for their 2007 tax returns. Here are the tax rates for 2000 (highest rate 39.6%), 2001 (highest rate 39.1%), and 2002 (highest rate 38.6%). In other words, if they don't like the Bush tax cuts (highest rate 35%), they don't have to accept them, they can file under the pre-Bush tax rates, i.e. the Clinton tax rates. For 2005, the richest 1% paid about 39% of all income taxes that year (see chart above). The richest 5% paid a little less than 60%, and the richest 10% paid 70%. The richest 1.3 million tax-filers -- those Americans with adjusted gross incomes of more than $365,000 in 2005 -- paid more income tax than all of the 66 million American tax filers below the median in income; ten times more. The rich showed more rapid gains in reported income shares in the 1990s than in the first half of this decade. The share of the richest 1 percent jumped to 20.8% of total income in 2000, from 14% in 1990, but increased only slightly to 21.2% in 2005. Notably, however, the share of taxes paid by the top 1% has kept climbing this decade -- to 39.4% in 2005, from 37.4% in 2000. The share paid by the top 5% has increased even more rapidly. In other words, despite the tax reductions of 2001 and 2003, the rich saw their share of taxes paid rise at a faster rate than their share of income. This makes it hard to pin their claim of "rising inequality" on the Bush tax cuts, though the income redistributionists are trying. By this measure, the Clinton years were far worse for "inequality." Conclusion from the WSJ: "We hate to break up the media's egalitarian chorus with these details, but facts are facts. If Democrats really want to soak the rich, they'll keep tax rates where they are, or, better, lower them some more." According to the BLS labor report on December 7, "Nonfarm payroll employment continued to trend up in November (94,000), and the unemployment rate held at 4.7%." What didn't get reported anywhere in the media (that I could find), and was only reported by the White House, is that November 2007 marked the 51st straight month of employment growth, setting an all-time record for the longest continuous run of job growth on record (back to 1939, see chart above). The previous record of continuous job growth was set back in the July 1986 to June 1990 period, when there were 48 straight months of employment growth. Bottom Line: In each of the last three months (September, October, and November), the Goldilocks economy has set new all-time records for continous monthly job growth, and yet this has gone virtually unreported. Never before in U.S. history have we experienced an extended period of job growth like in the last four years, and all we hear about are recessionary fears, and gloom and doom. 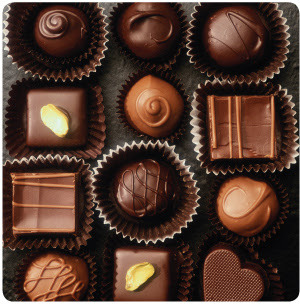 NY Times: Swiss chocolatiers, having long ago conquered markets in Europe and North America, are now aiming at the vast expanses of Russia, India and China, making Swiss chocolate a case study in globalization. Reminder: Trade works both ways. As economies like India, Russia, China, and Brazil become wealthy and prosperous by producing goods and services for the U.S. and European markets, the workers of those economies also become increasingly wealthy and prosperous consumers of American and European products. WASHINGTON - The Supreme Court on Monday (December 10) said judges may impose shorter prison terms for crack cocaine crimes, enhancing judicial discretion to reduce the disparity between sentences for crack and cocaine powder. WASHINGTON -- The U.S. Sentencing Commission voted unanimously Tuesday (December 11) to allow some 19,500 federal prison inmates, most of them black, to seek reductions in their crack cocaine sentences. Four of every five crack defendants is black. Most powder cocaine convictions involve whites. Even after the change, prison terms for crack cocaine still are two to five times longer on average than sentences for powder cocaine, the result of a 20-year-old decision by Congress to treat crack more harshly. See previous CD posts here and here. Note that crack cocaine is powdered cocaine + baking soda. Mpls. Fed: How do you view the suggestion that some CEOs are overcompensated? 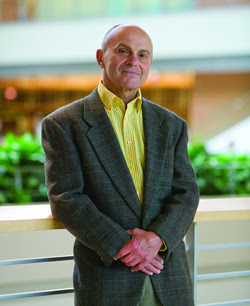 Fama: If it’s a market wage, it’s a market wage. They may be big numbers; that’s not saying they’re too high. It’s easy to say that people are paid too much, but when you’re on the other side of the fence trying to hire high-level corporate managers, it turns out not to be so easy. Mpls. Fed: I understand that you work every day, even holidays. Is that right? Mpls. Fed: That’s an amazing work ethic. "Inflation is always and everywhere a monetary phenomenon, in the sense that it cannot occur without a more rapid increase in the quantity of money than in output." Exhibit A: See chart above, click to enlarge. Monthly data for CPI and M1 are from the St. Louis Federal Reserve. The top chart above (click to enlarge), shows the one-year percentage forward premiums and discounts for the USD vs. other currencies, based on current quotes for one-year forward exchange rates. The USD is now selling at a one-year forward premium vs. at least a dozen currencies, suggesting that the value of the USD has stabilized and might start appreciating in 2008. The bottom chart above displays gold futures trading on the NYMEX, and shows moderate annual increases in the price of gold over the next 4 years of about 4%. Since gold is a hedge against inflation, the moderate increases in gold prices through 2011 indicate that there are no inflationary pressures building in the U.S. economy. Bottom Line: These direct market signals suggest that: a) the fall of the USD is probably over and we can expect an appreciation of the USD vs. the pound, rupee, peso, etc., and b) the current rise in inflation (4.29% increase through November 2007) is probably temporary, and we can expect lower inflation in 2008 and beyond. See related previous post here. Challenge: If taxes increases for "the rich" are a good thing, members of Congress and presidential candidates (all part of either "the rich" or "super-rich") don't have wait for the Bush tax cuts to expire or for Congress to pass new tax legislation, they can immediately raise taxes on themselves voluntarily by making a gift to the U.S. Treasury. Here is the link to the Treasury's website with instructions for politicians, presidential candidates, or any citizen like Warren Buffet who wish to make a general donation to the U.S. government into an official account called "Gifts to the United States." Question: What if Edwards or Clinton proposed legislation to force everybody to "donate" 5 pints of blood every year. Wouldn't it be a lot more credible if they were already donating blood themselves right now voluntarily, and not waiting until they were forced to "donate" blood by their own legislation? This is from a previous CD post, and I mentioned on Larry Kudlow's radio program today that I would re-post instructions on how politicians and Warren Buffet can pay extra taxes to the U.S. Treasury. 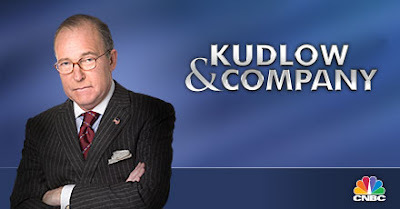 Update: I'll be appearing on Larry Kudlow's radio program this morning (Saturday), you can listen live here at WABC, should be between 10:30 a.m. and 11 a.m. EST. The graph above shows that the M1 money supply has been flat for three years, and is actually lower now than it was a year ago, suggesting that Fed policy has been TOO TIGHT. See previous post where I suggested that the Fed Funds rate should be about 3-3.25%.